All businesses should have an online presence. However, being on social media is simply not enough. Your small business also needs to have its own website. Creating a website is not an easy task. You will be best off hiring a professional designer to handle the project. One of the reasons for this is that small business owners who try to create their own sites end up making some major mistakes that can cost them business. 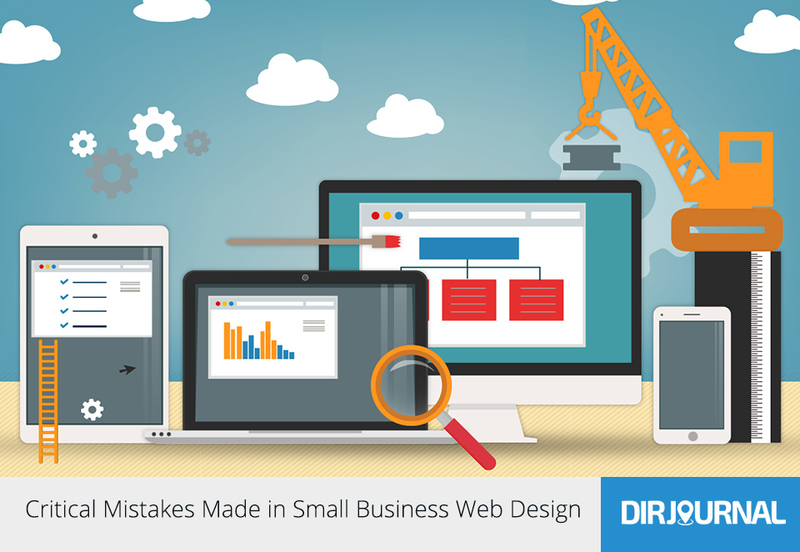 Here’s a look at some of these mistakes made in small business web design. Years ago, when the internet that we know today was first developing, everything was about being flashy. This may have come from the idea that offline, flashy is good. However, it just doesn’t work online. All it really accomplishes is annoying visitors and bringing your website’s traffic to a standstill. Keep it classy and save the flashiness for your television commercials. Sometimes people confuse professionalism with complexity. This is not good when it comes to a website. Your website needs to be clear, concise and offer easy navigation. If people clicking on your site cannot figure out what your business does or what products you offer, then they are just going to walk away. There is way too much competition to present a site that is too complex. You want to make it easy for people to use and present your products or services clearly. While loading times have greatly improved and graphics don’t really slow things down for users, too many graphics can make a site look cluttered. You also need to keep in mind mobile users who don’t have the same load speed as desktop users. Not to mention that they require a lot of bandwidth, which will increase your costs. Finally, if graphics don’t load for some reason, it leaves your site looking unprofessional. This goes back to the idea that your site needs to be easy to use. It has to be organized so that your visitors can easily navigate around the site. Organization also includes using familiar labels for pages, such as “contact page” for the page that gives your phone number, email and address, in order to make them recognizable to visitors. Not having clear organization is a great way to make visitors turn and run. Content is essential in small business website design today. Content will help with your SEO and get you ranked high on search engines. It will help make your site more valuable to visitors, too. You need the right balance of content. You shouldn’t load down your site but at the same time, you should make sure that you have a good amount of content. It also should be organized and easy to scan. These common mistakes made by small businesses are simple to avoid if you hire a professional to do the work for you. However, it is a good idea to be aware of them. This will help you to manage your site once it is created.